If you live in Canada, you may have noticed these iconic little black umlauts showing up on your TV commercials and on billboards across your city. 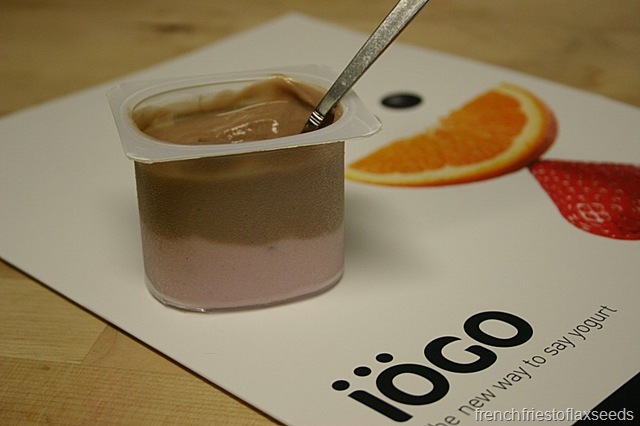 It’s been pretty hard to avoid the intense and effective marketing campaign for IÖGO Yogurt taking the country by storm. 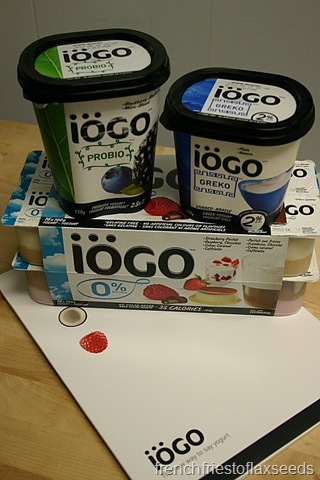 It had me intrigued – a new Canadian yogurt brand? I had to try it out. Fortunately, I was sent a promotional package through my Dietitians of Canada membership (perks! ), and received a plethora of coupons to make acquiring the yogurt just a little more affordable (side note – I had actually bought some of their Greek yogurt before receiving the coupons, so it was really just a happy bonus to help me round out my review). 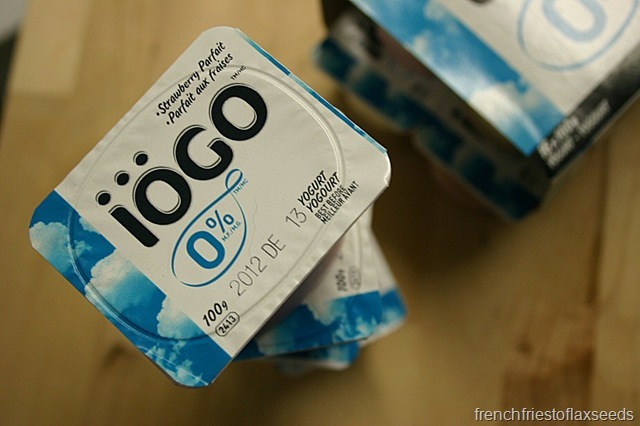 So what makes IÖGO yogurt special, besides what I consider modern and stylish packaging? The company/brand is 100% own by Canadian dairy farmer cooperatives, boasts 7 product lines and 40 flavours, and is one of the few Canadian yogurts using milk fortified with Vitamin D to make their products (something us Canucks need to think about during the winter months). Their products are also free of gelatin, preservatives, and artificial flavours. 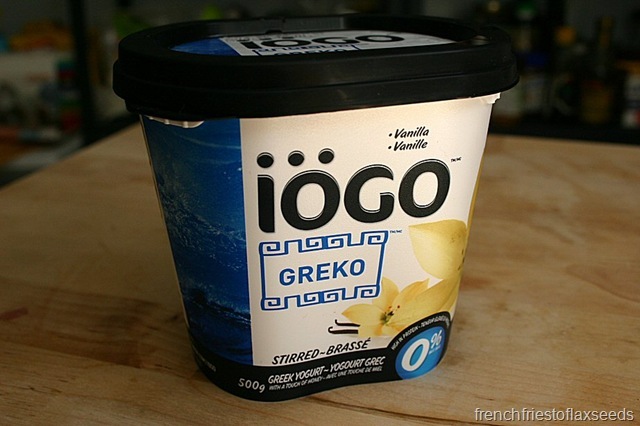 Overall, I liked this Greek yogurt. I was happy to see they had made it 2% and not 0% (although the individual sized Greek yogurts are 0% fat). The plain is great – thick, creamy, tangy, and made with just skim milk, cream, and cultures. The vanilla was good, but had added sugars. The honey was overpowering and too sweet – I had to mix it with plain yogurt to make it palatable. I would probably only buy the plain, as it has the fewest ingredients, and just had more uses in the kitchen. Another good yogurt. I liked both the vanilla and the blackberry-blueberry. Not as thick as Greek yogurt, but thick enough to be enjoyable. Unfortunately, there are added sugars to these yogurts, and I didn’t like the fact that they used modified corn and rice starches in them. I wonder how truly necessary the starches really are in the production of fruit or flavoured yogurts. Of note though – they do make a lactose free Probio yogurt as well, if you need to avoid lactose in your diet. The 0% yogurt is, well, your typical fat free, low calorie yogurt. 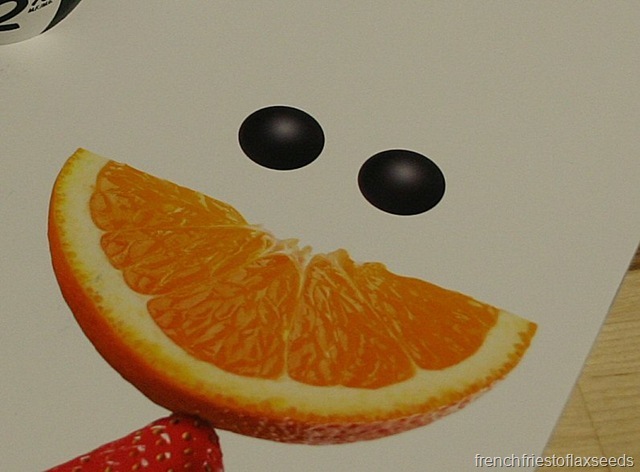 They use sucralose to sweeten the yogurt, which leaves that typical artificial sweetener taste. Since turning to Greek yogurt a few years ago, I have lost all tolerance to these sweeteners in my yogurt, and it is just not enjoyable. Which is unfortunate, because I really wanted to enjoy the Key Lime Pie yogurt, and they only make it in the 0% yogurt. In fact, the product line with the most flavours is the 0% yogurt – I guess that’s a testament to the public’s desire for low fat/fat free diets. The dessert duo was the same deal – artificial sweetener, too thin of a texture. 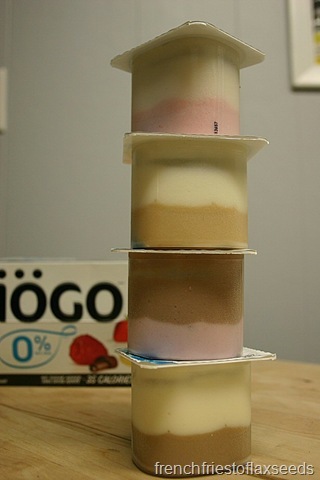 I did enjoy the novelty of the two layers of flavours, but I think next time I would seek out the IÖGO Original duo version, since it has a little fat and is at least sweetened with sugar. So…would I buy it again? I would definitely get the Plain Greek yogurt (and have in fact bought it multiple times), and might buy some of the Probio or Original flavours if I was in the mood for something a little more dessert/treat like. Any of the fat free/artificial sweetener ones I would pass on. Also, I find their claim of “40 flavours” a little deceiving – not all of the flavours they use show up in stand alone yogurts. So yes, they use 40 different flavours, but I don’t know that it makes 40 unique combinations currently. I know when I saw the coconut on their website, I thought I would find a pure coconut yogurt. Alas, coconut only shows up in combination with pineapple and banana. Little things like that do bug me. I will say though – they have done an excellent job of getting the word out on their products. I often see them sold out on the shelves. 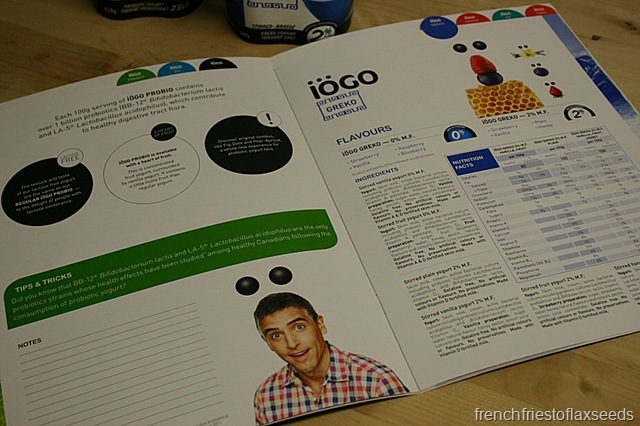 And they have definitely come out with products to suite everyone’s tastes and yogurt desires. 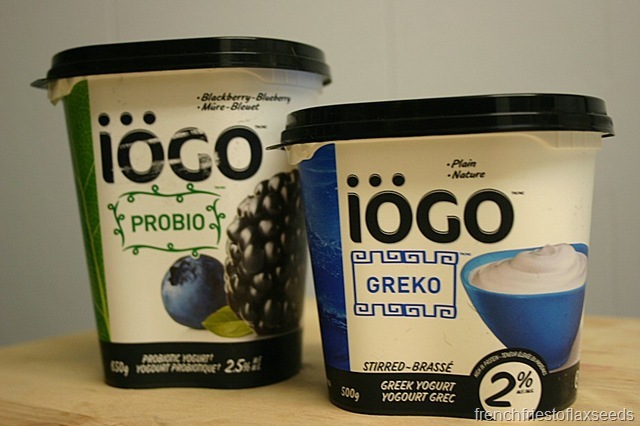 Have you tried IÖGO Yogurt? What did you think? Would you buy it again? Note: All products were purchased by me. Yes, I had some coupons, but they weren’t free. And all thoughts are my own. Just sayin’. Yogurts with added ingredients make me sad. It’s too bad too because the branding is so clever and their advertising so pervasive. Great product review Marianne! I also love the Greek yogurt and the fact that it’s vitamin D fortified! I would definitely recommend this product to patients/clients!